CDH International | Potential survival benefit with repair of congenital diaphragmatic hernia (CDH) after extracorporeal membrane oxygenation (ECMO) in select patients: Study by ELSO CDH Interest Group. Research: Potential survival benefit with repair of congenital diaphragmatic hernia (CDH) after extracorporeal membrane oxygenation (ECMO) in select patients: Study by ELSO CDH Interest Group. 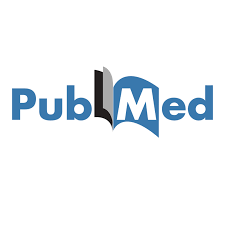 01 Apr Research: Potential survival benefit with repair of congenital diaphragmatic hernia (CDH) after extracorporeal membrane oxygenation (ECMO) in select patients: Study by ELSO CDH Interest Group. Potential survival benefit with repair of congenital diaphragmatic hernia (CDH) after extracorporeal membrane oxygenation (ECMO) in select patients: Study by ELSO CDH Interest Group. Delaplain PT1, Harting MT2, Jancelewicz T3, Zhang L4, Yu PT5, Di Nardo M6, Chen Y4, Stein JE7, Ford HR8, Nguyen DV9, Guner Y10. Studying the timing of repair in CDH is prone to confounding factors, including variability in disease severity and management. We hypothesized that delaying repair until post-ECMO would confer a survival benefit. Neonates who underwent CDH repair were identified within the ELSO Registry. Patients were then divided into on-ECMO versus post-ECMO repair. Patients were 1:1 matched for severity based on pre-ECMO covariates using the propensity score (PS) for the timing of repair. Outcomes examined included mortality and severe neurologic injury (SNI). After matching, 2,224 infants were included. On-ECMO repair was associated with greater than 3-fold higher odds of mortality (OR 3.41, 95% CI: 2.84-4.09, p<0.01). The odds of SNI was also higher for on-ECMO repair (OR 1.49, 95% CI: 1.13-1.96, p<0.01). A sensitivity analysis was performed by including the length of ECMO as an additional matching variable. On-ECMO repair was still associated with higher odds of mortality (OR 2.38, 95% CI: 1.96-2.89, p<0.01). Results for SNI were similar but were no longer statistically significant (OR 1.33, 95% CI: 0.99-1.79, p=0.06). Of the infants who can be liberated from ECMO and undergo CDH repair, there is a potential survival benefit for delaying CDH repair until after decannulation. Treatment Study LEVEL OF EVIDENCE: III.